You set the pace in your world. So you need a car that not only keeps up, but anticipates your next move. One that stands out on the road with its newly redesigned exterior styling that features sleeker lines, bolder accents and available 17-inch alloy wheels. One that keeps you in touch with everything around you, employing a wealth of the latest technologies, including available innovations like the Lane-keep assist system and dynamic bending headlights. Along the way, you can enjoy the available Android Auto®4,6 smartphone integration in the advanced comfort of the redesigned cockpit. 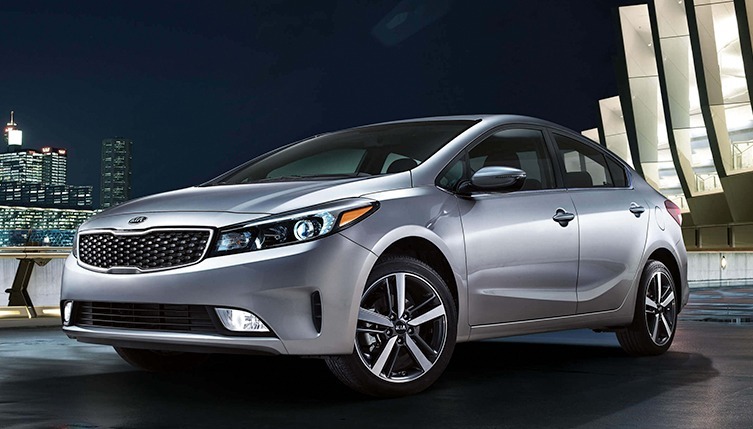 The one and only car for your world – the newly redesigned 2017 Kia Forte.